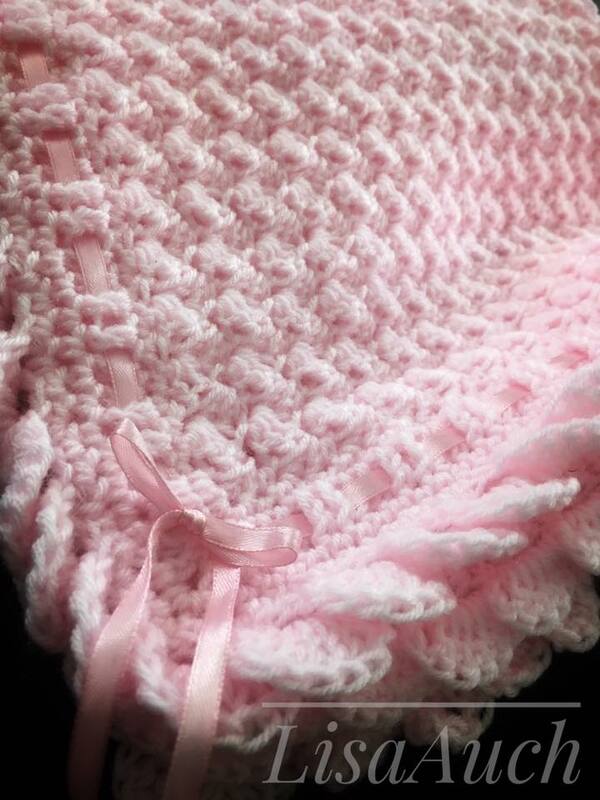 A free crochet pattern for a beautiful unique textured baby blanket. 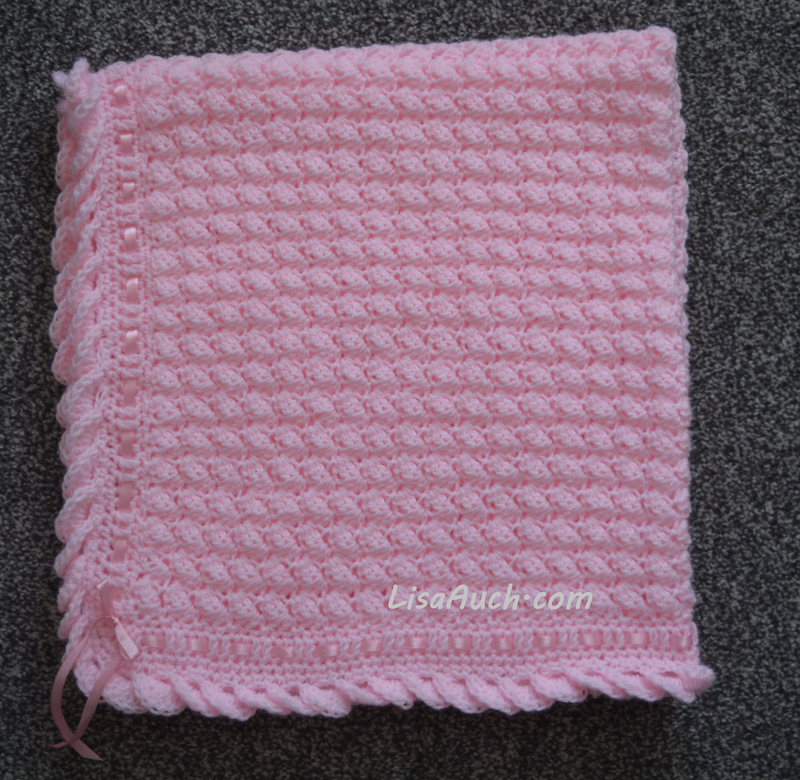 I love love love this crochet stitch combination, which creates a no-hole baby blanket, with enough scrumptious texture to wrap a new baby up in. This is my favorite go to baby blanket crochet pattern. Terms and pattern written in US terms. Row 1: In 2nd ch from hook (1sc, 2dc in next ch) *[skip 2ch, 1sc 2dc in next ch]*, repeat from * to * until you reach the last 3ch, skip 2ch, 1sc in last ch, turn. repeat * to* until last 2 stitches, skip 2dc, 1sc in top of turning ch. Corners work (2DC, ch2, 2DC) in Each corner. Written pattern for the crochet border (however I have added a very clear video below which I suggest watching to understand the TURN of your work. Chain 1 and work 7 DCs into the Chain space created by the Chain 4. DC into the next 4 stitches from previous round, and work 4 double crochets, 4 chain stitches and TURN. slip stitch INTO the top of your chain 3 (4 Dc and a chain 4 space) Repeat around. Finish off by slip stitching into the very first stitch combination. Whilst I do not claim to be a professional crochet designer I am a crochet hobbyist and addict, crochet is my passion. I love to experiment and come up with crochet designs, that I posted on my Facebook Page, which then got shared around, thus leading to people contacting me and asking to help them or if I have a pattern for them. 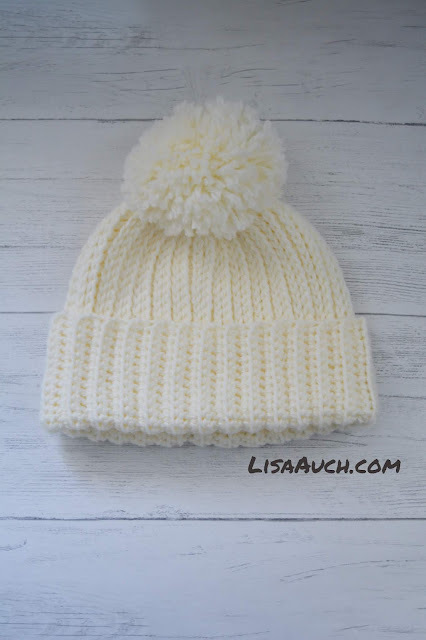 I spent more time via emails and face book answering questions about my work, I decided to create this blog to help inspire and help others to create beautiful crocheted pieces of work. So sometimes the patterns will be written as how I have made and understood and interpreted them. Sometimes I may even make something, not take notes and need to go back and work out what I did.